Swim season is here and reusable swim diapers are a great way to enjoy the water with your baby! 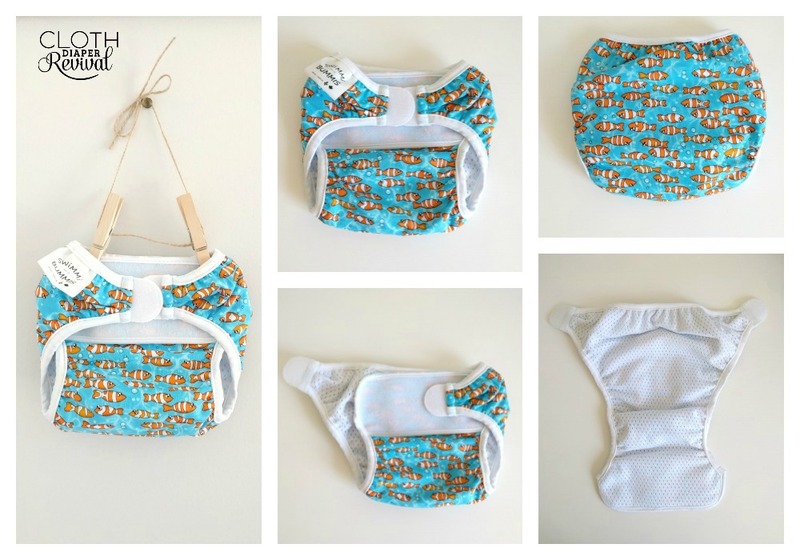 Reusable swim diapers work just like disposable swim diapers, without the waste! Bummis is one of my favorite cloth diapering brands for simple, quality, affordable products and the Bummis swim lines is no exception! 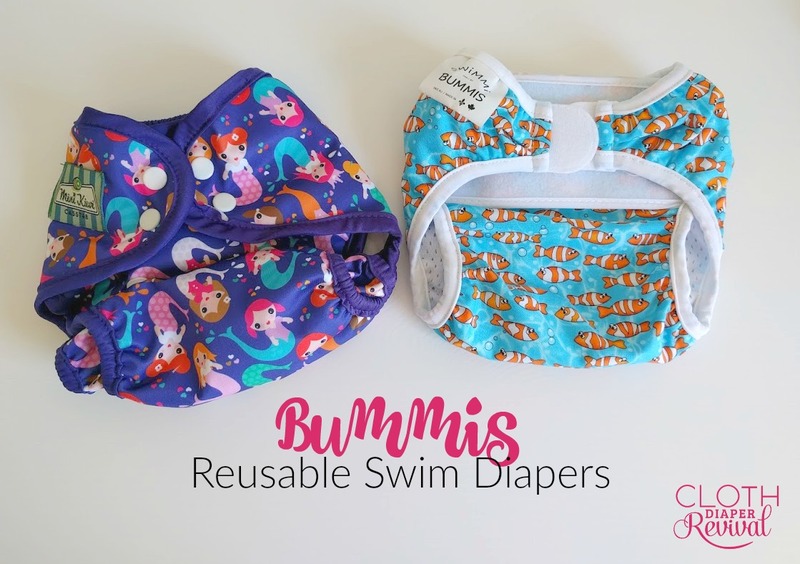 Bummis, along with Mini Kiwi, offers two swim diapers to make your summer fun! The Bummis Swimmi is a favorite from our personal swim collection! We used the same size swim diaper for two summers and it was a great fit both summers. The cotton material on the outside may show some fading over time, especially if used in chlorinated pools. The aplix closure on this swim diaper is very strong and durable! You won't have to worry that baby will be able to open it in most cases and the stickiness will last with normal wear and tear. I have had people ask if the aplix causes snagging on mom's swimsuit while holding the baby and I did not find this to be an issue with this diaper. 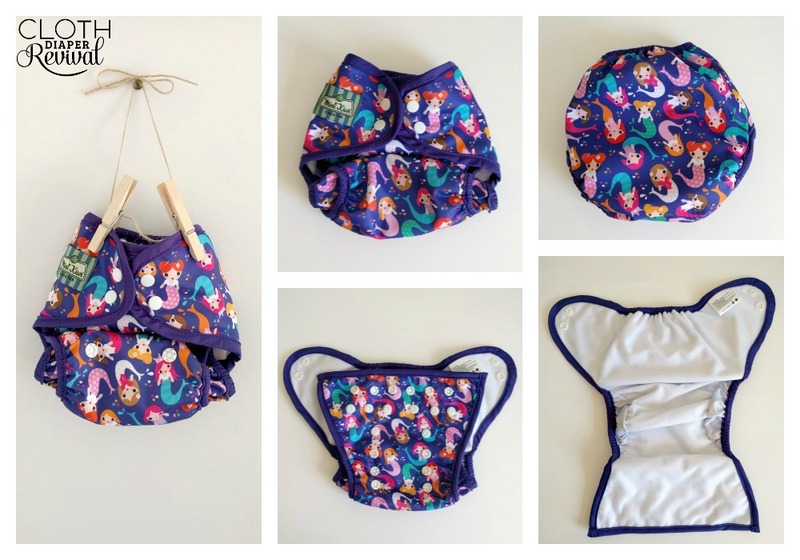 This swim diaper also provides SPF protection which is great for keeping our babies safe in the sun, especially if you plan to use it without a swimsuit over top. The Bummis swim line also includes matching swim hats, UV tees, tankinis, and the one-size Swimmi (see below). If you're looking for a swim diaper that will last from your baby's first summer to potty training, the one-size Swimmi is a great option! This diaper looks and feels a lot like a diaper cover and works essentially the same way with the snap closure and rise adjustments. This swim diaper does have double gussets at the legs which will provide a extra protection for poop. The Bummis swim line also includes matching swim hats, UV tees, tankinis, and the sized Swimmi (see above). Thanks for sharing! I've been thinking about what swim diapers to get our little for this summer (his first!) so this is really helpful info. 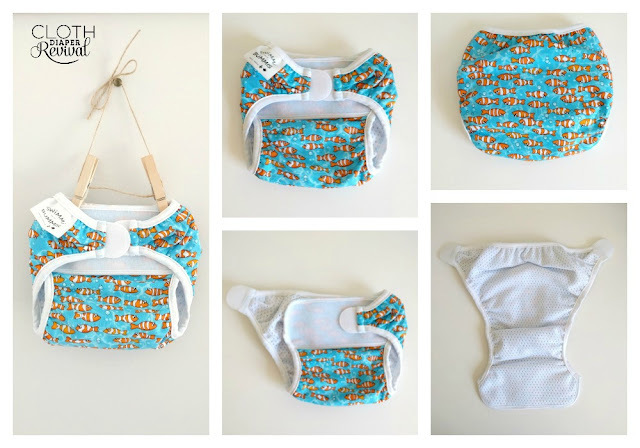 We love cloth diapering around here so I'm thankful to have found your site!